VegiBike, veg oil and diesel fueled engine, classic Royal Enfield motorbike by Harry Lyon-Smith: Happy New Year to you. A Jupiter's Traveller and a failed love story. Happy New Year to you. A Jupiter's Traveller and a failed love story. Wishing you a very Happy, fun and exciting New Year. I write from a small town in Northern Thailand called Pua, 4 days into a couple of weeks touring around this part of Thailand. I borrowed parts from a few biking companies' itineraries that I found on the web, on the assumption that they will only go where the roads are great and the scenery stunning...I have not been disappointed for a moment. The roads here are as good as any in the West, and have taken me through simply gorgeous surrounds. This combined with the lovely natured Thais, great climate and delicious food makes it easily understandable why so many westerners are choosing to live here. I took this as sadly deforestation seems to be scarring this beautiful landscape. Several National Parks are at least protecting large parts, but even they are not immune from wood poachers. 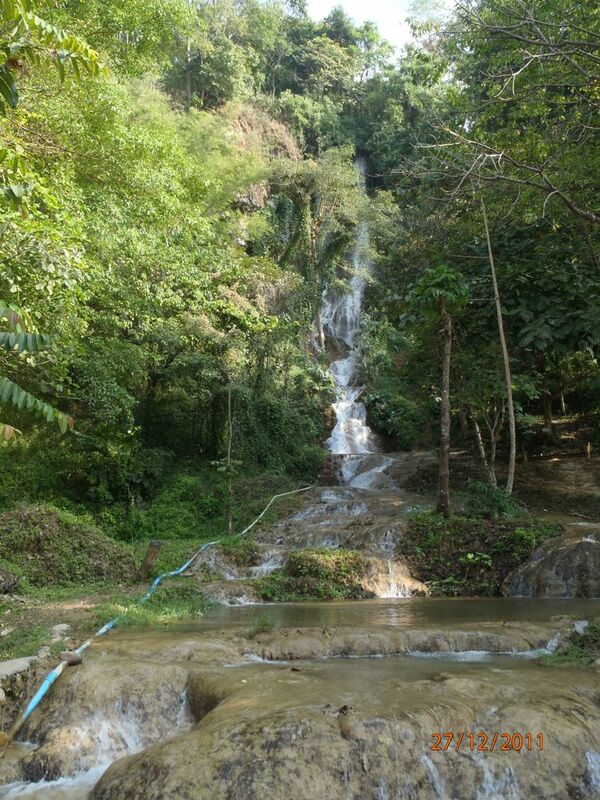 Waterfalls are pretty common here...and what a great thing to be abundant. I am not going to write a moment more until I tell you that, much to my delight and honour, I have joined the ranks of the 'Jupiter's Travellers". I don't suppose that means anything to most, but to us who are doing these somewhat eccentric journeys, it gives a great qualification. As a moment of background, nearly 40 years ago Ted Simon completed a round the world journey on a Triumph T100 500cc motorcycle, over about 4 years. He was then a journalist writing for the Sunday Times. 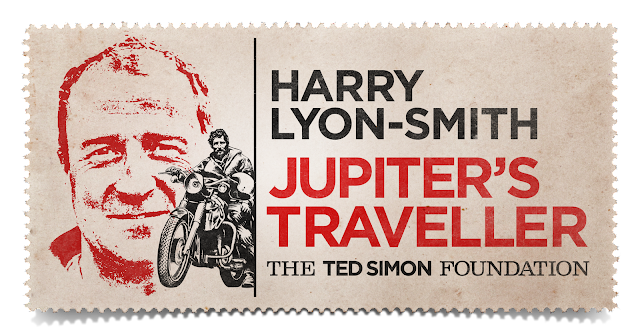 He wrote a book called Jupiter's Travels that has probably been the greatest inspirer of dreams into reality for would-be motorcycle long distance travellers, and I include most notably Messrs Boreman and McGregor. 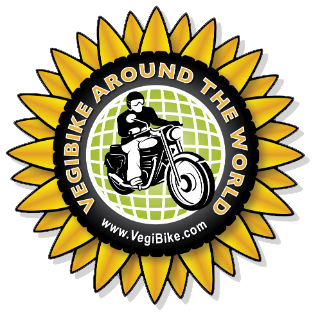 It was certainly a key cog in the mechanism that is Vegibike. My dream started when I read it in the early 80s. Not only did he do that trip, he also did it again 25 years on at the age of 70 and wrote Dreaming of Jupiter which I enjoyed immensely crossing Iran. "Jupiter's Travellers are people who seek to understand the beauties, mysteries and tragedies of our world, and their place in it, through personal adventure. They are inspired and motivated to develop their observations and insights into something of value for the rest of the world to share, whatever their medium of expression might be." A big thank you to Ted, Iain and all the Jupiter Team. I flew into Chiang Mai as oppose to Bangkok, wanting to start the South East Asia leg as far North as possible. It also meant that clearing customs was a breeze...apparently Batty was the first bike they had in there that they could remember. The fact that they did not have the right paperwork for the job slowed things up for a small while, but in the end they just said come back before I leave and they would have it all ready for me. So friendly and trusting. The last time I was here was on a holiday that I have had to struggle with for over 20 years and regrettably it is a story of stupidity and youthful arrogance in no uncertain measure. A year or so before that trip I had had a short relationship with a very good friend, and although it had ended we remained close, and her beauty only grew. She and a girlfriend had taken themselves off on a backpacking trip around the world and we planned to meet in Thailand, corresponding via the lovely old method of Poste restante. It started badly...well in a fun way...I had booked the cheapest flight I could and in those days it was with Gulf Air. I use to hate flying, and still do, but what with fear of flying courses and lots of it, I now manage OK. It did mean that the then 'drink as much as you can' option was taken up by this jumble of nerves passenger with enthusiasm. My neighbour was a chap the same age, and we started getting a long well, and the hours to the first stop in Bahrain was quite a party. Then in the transit terminal, he asked me if I wanted a 'smoke', being then very partial to all that, I readily agreed... The Middle East is now, but even more so then, a strict and unforgiving approach to such matters and a term in a jail would have been a light sentence. Somehow we got away with it, but I shudder when I think of the idiocy of it. There they were ( I am keeping names out of this...those who know know, those who don't, wont...sorry) at the airport to collect a very hungover and sleep deprived traveler and off we went to the coach station in Bangkok to overnight it to Chiang Mai. Normally I can sleep on coaches, but not then...it was so very exciting being there as my first trip beyond Europe, tingled with the joy of seeing someone who I had let my fantasies engage in speculation of rekindlement. Then what does this numpkin do...he starts a sort of surreptitious flirtation with her friend...that over a few days ends up...well I will leave that to imaginations. It was not of any significance emotionally to her or I, just one of those things...and I thought we had got away with it. Alas on the train south to the beaches, the girls had a 'chat' and out came the story, and my goose was cooked as far as any lingering embers were concerned with .......I nearly said her name. Back here now, that hatchet is buried, and I am loving it. When I get back to Chiang Mai, there is a Horizons Unlimited meeting at the Rider's Bar, which is an annual event for overland bikers and local riders. I have met a few on my travels that are converging there, so it will be fun. I am also being joined by Susana, who I met in Goa, as she is bravely boarding Batty for a 2 week loop around Laos. Well done Harry on becoming a Jupiter's Traveller. Ted Simon's books and experiences really have been an inspiration, the first taken from very different era - in my view because of your chosen "steed" and your genuine interest in world issues you are The Real Deal. Can write too according to Mrs May! This is really great, I think that using the mixture of oils give out a less pollutant emission for sure.